Love Borderlands' cartoony vistas and pastel-colored expanses? Well, now you can make your game of Cities: Skylines look just like it—minus roughly a million gallons of blood, of course. 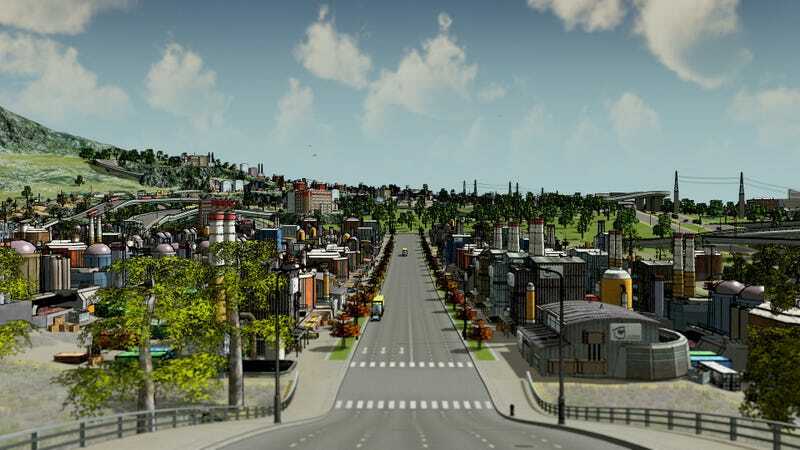 -Adds 'edge detection', a visual style made popular by games such as Borderlands and XIII, to Cities: Skylines. -Uses the Unity engine's official 'Edge Detection' effect in tandem with hand-crafted and meticulously tested Cities:Skylines-specific implementation, ensuring the effect remains balanced regardless of ingame context. Neato! Its creator, Hingo, says it goes great with other graphics mods like sun beams, which you can grab in this wondrous chest of a thousand graphics (or a few, whichever). Work on the Bordercities mod is ongoing, so expect even better visuals and personalization options in the near future. Also expect 87 bazillion guns probably never.